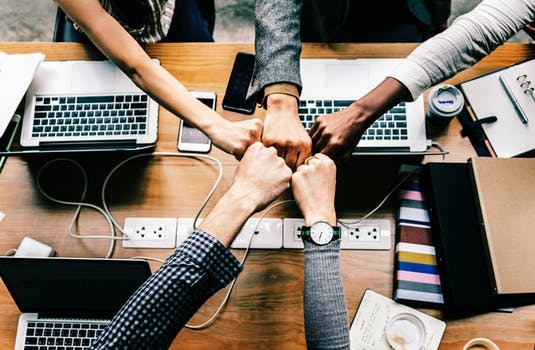 In order to achieve just about anything in the world of business, you need to make sure that you and your colleagues are always acting as a team – and a tightly knit team at that. We all know this, but it can be so hard to actually manifest this awareness within a business in some kind of real, down to earth manner, so that you can actually see an improvement or change in results. The truth is that there are a huge number of things you can do to make sure that your employees actually feel like more of a team, and that is what we are going to take a look at here. As long as you are taking care of the following, you should find that your employees are much more likely to be a unified team, and that should mean that you end up achieving much more in your business overall too. Standards are hugely important in the world of business. The more that you have, the more likely it is that the actions your employees take will be unified as a group, and it will often have a way of giving a sense of direct or purpose to both teams and individuals as well. It’s not a bad idea to come up with your own company standards early on which you can hold people to, even if it just done as a way of encouraging everyone to feel more like a team. It could be something as simple as having a standard way to produce a document, for instance. This has wide-reaching benefits, and it’s worth doing. You can even use a template organization service liek https://www.templafy.com/ to ensure that everyone gets the memo. You might be amazed at how much of a difference this really can make. We’ve all attended team building exercises, and people have mixed feelings about them if we’re being honest. But no matter what you think, you have to admit that they do have a way of making people come closer together. If you are worried about people finding them silly, don’t be – that is actually something you can incorporate into it, and just make it a part of the whole process. These kinds of exercises are effective in the long run, and it is at least worth considering them at some point. The more that the individuals in your teams know what they are doing and why, the more likely it is that they will work cohesively and powerfully as a group. So you should make a point of spending a little time with each person at some point, ideally once a month or so, and making sure that they know why their particular role is important. If you can do that, you will find that your team is much more successful in working together. For more, see http://www.callofthewild.co.uk.